Seeking for Representatives in USA! As the comprehensive manufacturer of the removal robot and the auxiliary equipment for plastic injection molding machines, HARMO Japan has celebrated 53rd year since its foundation. Through these years, we are blessed with trust and satisfactions in our products from our valuable customers. The profound relationship with our customers in Japan and other countries, have helped us shift our focus on the US market and open our own local sales office in New York in June 2014. Because of the large geographical areas to cover in the US, establishing representations in multiple locations is necessary for us to make our high quality products available to the customers in America. 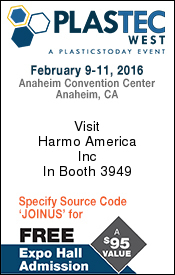 We would like to seek your hand in partnership for representing HARMO products. We are certain our full and unique product line-ups will build interest and excitement in you as well as in your customers. We hope this will become the very first step for you and HARMO Japan to start building a strong and successful partnership in the US. Please feel free to contact us with any questions or visit us at the following exhibition!